PeopleTools 8.56 released on June 09 2017 comes with new features for development, system etc. Unlike PeopleTools 8.55 list of new features is not big but there are few changes worth noting. As per Oracle, this decision was taken to discontinue seldom used OS platforms. 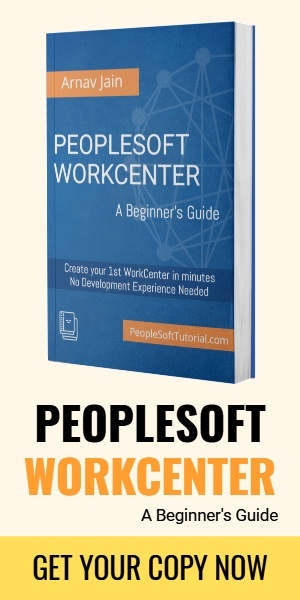 Currently you can download PeopleTools VCDs from Oracle Cloud Delivery Platform (former edelivery) but in near future, option to download VCDs will be gone. Oracle is moving towards delivery of PeopleTools DPK only. PeopleTools VCDs will be retired for all platforms once DPKs are available for HP-UX (currently HP-UX customers can use VCDs only). DPKs are already available for all other supported platforms. Classic Plus Component Setting: Use “Apply Fluid Like theme for Classic” in Style tab of component properties to apply fluid-like classic plus style to classic component definition. When end user interact with both fluid and classic components, this option will provide similar styling for more uniform experience. For this to work, you need to enable “Fluid like theme for Classic” in Branding System Options page at system level and then enable the property for the component(s). If you want to hide passwords, PIN numbers from field data online, you can use Password and Input Only display options to prevent end users from seeing actual field values and field values being sent to the browser in page HTML. PTSYS Database option is no longer available. Multiple instances of Change Assistant can be run on same machine. Can be either different patch levels (minimum 856). Cannot run multiple instances against the same target database. Locking may occur sometimes. In case of locking, message will be displayed. 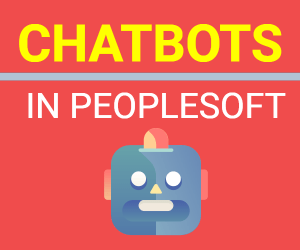 PeopleTols patching is now using automated Change assistant process. Manual process for applying patch is no longer recommended. PeopleTools patches will have full code line with all changes.